Beautiful background and love the delicate colour you have used. Do delicate and pretty, Em! 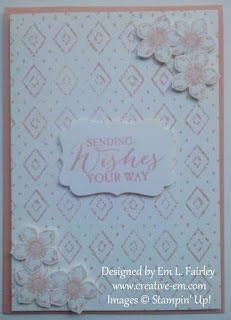 That embossing folder makes a beautiful, subtle background pattern, and those flowered corners are the perfect finish. 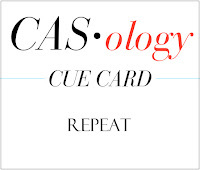 Thanks so much for joining in the fun at CASology this week! Pretty card! I've never tried this with my embossing folders! Neat idea! 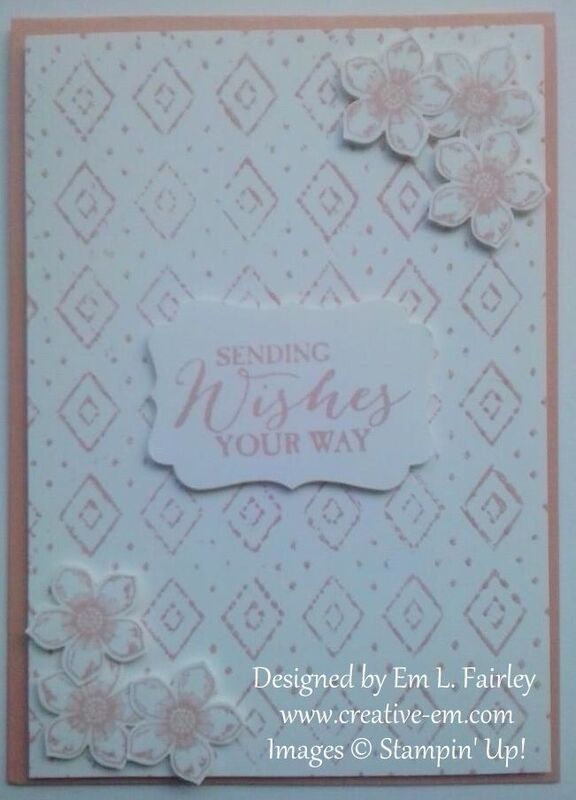 Really soft and pretty card Em! Love it! Beautiful card! Simplistic and elegant layout! Love it! Thank you for playing along in the Word Art Wednesday Challenge! Have a blessed day! Em this is just so beautiful. Loving the white with hint of pink.